Each year, a million people go to emergency rooms because of slip-and-fall injuries, and many of those injuries result in claims or lawsuits. 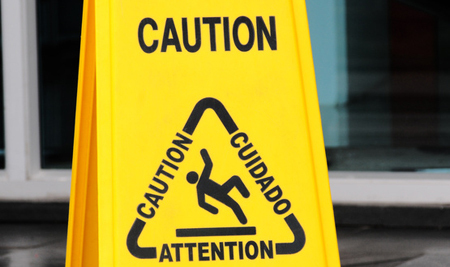 Slip-and-fall accidents are one of the most common causes of injuries resulting from the careless or negligent maintenance and operation by property owners. And they result in hip fractures, spinal injury, broken arms and legs, dislocated shoulders, or worse. But in Florida, slip-and-fall cases can be particularly challenging, because the law has been designed to discourage such lawsuits. If you have been injured in a slip-and-fall, the most important actions you can take are to see a doctor immediately, and contact an experienced personal injury lawyer. We accept all injury cases on a contingency basis, meaning you pay nothing unless we recover for you. If you have been injured in a slip-and-fall accident, call us TODAY for your free, no-obligation legal consultation.